Breaking records and creating new ones seem to be a daily business for Indian Cricket Captain Virat Kohli. 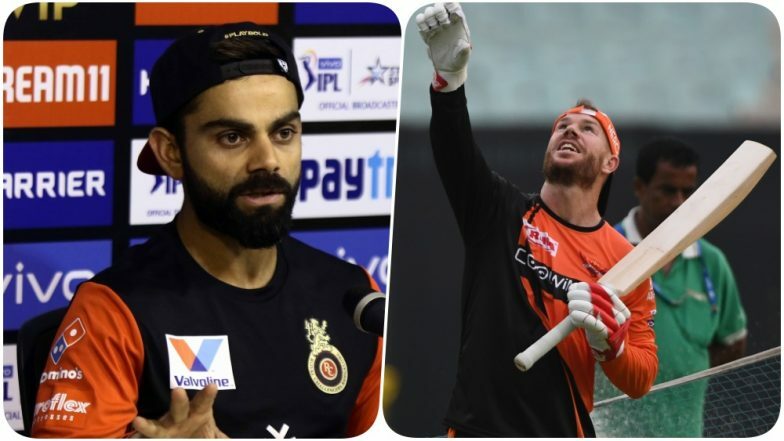 Now in the match against Chennai Super Kings in Chennai, Virat Kohli could equal the record of Sunrisers Hyderabad’s David Warner during the opening game of the Indian Premier League 2019. If the RCB skipper scores a half-century today, he will have 39 fifties in 155 innings with 4948 runs at an average of 38.35. The Australian, on the other hand, has a total of 39 fifty-plus scores in the tournament history in his 114 innings while amassing 4014 runs at an average of 40.54. Chennai Super Kings vs Royal Challengers Bangalore Scorecard. When it comes to the centuries in the IPL, the Indian skipper has four centuries under his belt whereas, Warner has scored three. The Australian will have an opportunity to equal Kohli’s elite IPL record. Certainly, all eyes will be on Virat Kohli, the skipper of RCB and MS Dhoni, captain of CSK in the first game of the Indian Premier League 12. Meanwhile, the MA Chidambaram stadium is buzzing as MS Dhoni has won the toss and has elected to bowl first. Ahead of the first game, Virat Kohli addressed the press and said took a jibe at Gautam Gambhir's captaincy comment. “I am motivated to start tomorrow (Saturday) personally. I don't know how competitive or how relaxed Indian players are going to be during the IPL. Every professional knows how to maintain a balance. Eventually, you are playing for a franchise and they have trusted you to do a job for them. Till the time you play, you have to give 120 per cent. I don't believe in playing 75 per cent or 80 per cent. When I play, I am going to give my best. When I want to rest, I will just not play rather than just standing there. That's the mindset I carry,” he said at the presser. Stay tuned to Latestly.com for all the live updates.